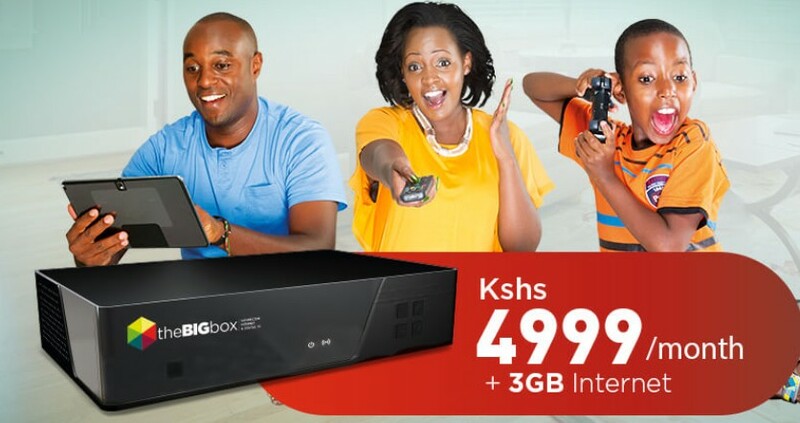 I bought theBigbox- safaricom digital decoder and i would like to share my fair review about it. In this review, i will be more of giving a guide on how to use and reveal to you what you may not know. I purchased my Safaricom theBigbox Decoder from Thika Road Mall (TRM) at ksh. 4999. Upon purchasing they had to configure it and it worked perfectly. When they loaded they decoder it indicated that 192 free to air channels were available but upon getting to my house and there were only 52 channels. To be frank, i can’t say that they lied to me. I have noted that sometimes the channels do increase upto 120. So it depends on where you are the strength of the signal. Installation: If you have used other decoders then you just have to follow the same procedure. Am currently using their free 3GB data in my laptop and everything works well. Internet hostpot (wi-fi) which works perfectly well. For poor picture quality check your signal level. If you have any other inquiry about the theBigbox kindly share in our forum and i will respond.